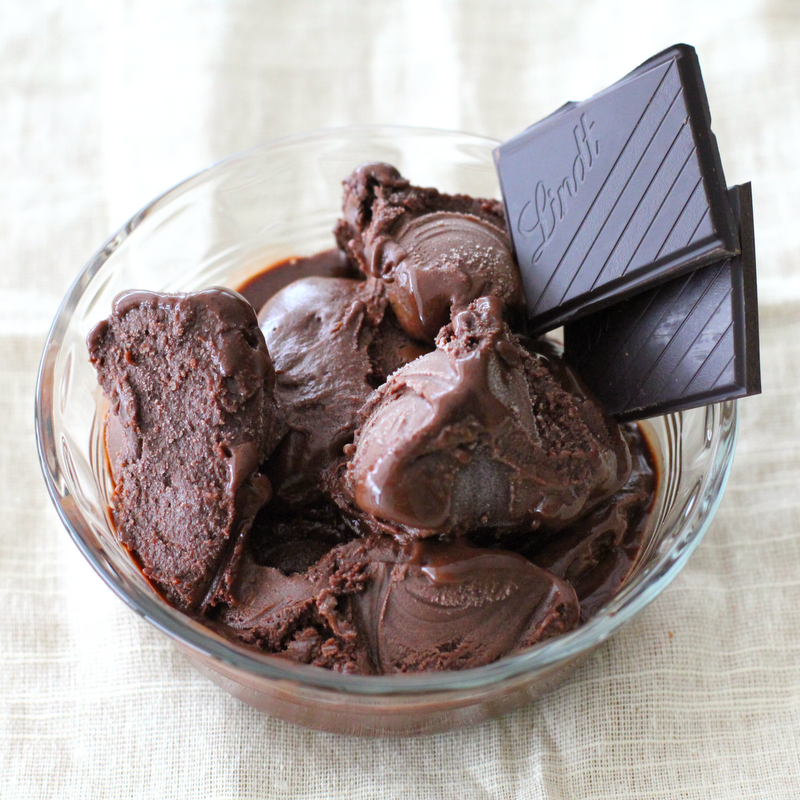 This Chocolate Fudge Ice Cream is the best of the best. Literally, THE BESTEST OF THE BEST ICE CREAMS KNOWN TO MANKIND. 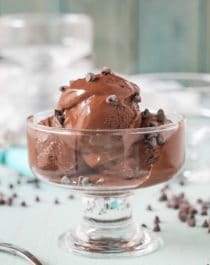 This Chocolate Fudge Ice Cream is uber creamy without the heavy cream and perfectly sweet without the white sugar or corn syrup. And it’s made with just four ingredients… no ice cream maker required. Heck yes! This Chocolate Fudge Ice Cream tastes AHHHHmazing. You can enjoy every bite knowing there’s no heavy cream, white sugar, corn syrup, or artificial flavorings hiding in it. This is ice cream at its best without the nasty ingredients. You can even enjoy this dessert first thing in the morning since it’s made with healthy, natural, filling ingredients (or at least I did…). It’s full of chocolatey flavor, but it’s also full of protein, healthy fats, and fiber to balance the treat out and power you through your day. And if you’ve ever wondered how to make ice cream without an ice cream maker, this blender ice cream is your answer. Healthy AND super easy to make?? How can you go wrong?! You scream, I scream, we all scream for ice cream. And chocolate. (Please tell me you know the SpongeBob episode I’m referring too.) ? In a blender (I used my NutriBullet), add the almond milk, protein powder, and liquid sweetener. Blend until completely smooth. Add the melted chocolate and blend again. Pour the mixture into a loaf pan and place in the freezer for ~4 hours, or until it’s firm enough to scoop. Share this with someone you love, or treat yourself to it all. I usually do… hehe ?